President-elect Donald Trump has announced that he intends to nominate Ms. Elaine Chao to serve as the Secretary of Transportation. Ms. Chao previously served as Secretary of Labor under President George W. Bush and Deputy Secretary of Transportation under President George H.W. Bush. Ms. Chao also is the wife of Senate Majority Leader Mitch McConnell. Ms. Chao must be confirmed by the Senate, a process that will begin once Congress reconvenes on January 3. On December 5, the North Dakota Legislature’s Administrative Rules Committee approved new rules that were adopted by the North Dakota Industrial Commission on June 29 for certain underground gathering pipelines capable of transferring crude oil or produced water from oil and gas production facilities. The new rules establish bonding and notification requirements and a wide range of safety requirements addressing design, construction, inspection, geographic information system locational data, operations, leak detection, spill response, corrosion control, pipeline integrity, repairs, and abandonment. The new rule also establishes requirements for berms around facilities. The rule becomes effective January 1, 2017. PHMSA Rulemakings Update. The tables below summarize the status of the Pipeline and Hazardous Materials Safety Administration’s (PHMSA) rulemakings as reported in the Department of Transportation’s (DOT) November Significant Rulemaking Report and by the Office of Management and Budget’s (OMB) Office of Information and Regulatory Affairs (OIRA) in the Fall 2016 Unified Regulatory Agenda. Revisions appear in bold. Note that OIRA estimates several pending final rules to be issued by the end of 2016 and that two proposed rules have estimated publication dates that have already passed. In addition, for the first time DOT provides an estimated publication date for a final rule addressing the Safety of Gas Transmission and Gathering Pipelines. 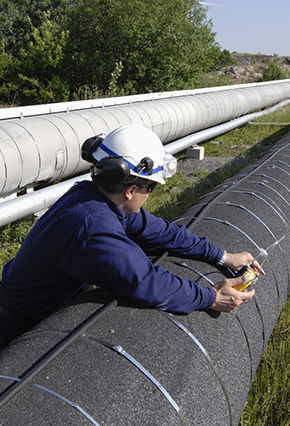 PHMSA issues advisory bulletin addressing safeguarding and securing pipeline facilities. On December 9 PHMSA expects to publish an advisory bulletin reminding pipeline operators of the importance of safeguarding and securing pipeline facilities and monitoring SCADA systems for abnormal operations or indications of unauthorized access or interference with pipeline operations. Issued in response to the October incidents involving individuals illegally entering valve siteson four pipelines and closing valves, the advisory bulletin encourages pipeline operators to implement protective measures including cultivating strong relationships with local law enforcement; increasing the frequency of ROW security patrols and deploying new patrolling technologies, such as unmanned aerial systems if permitted; reviewing valve and facility protection measures; and protecting SCADA systems. PHMSA announces first public meeting of the Voluntary Information-Sharing System Working Group. On November 28, PHMSA announced that on December 19, it will convene the first public meeting of the newly created Voluntary Information-Sharing System (VIS) Working Group. Section 10 of the Protecting Our Infrastructure of Pipelines and Enhancing Safety Act (PIPES) of 2016 directed PHMSA to convene the VIS Working Group to encourage collaborative efforts to improve analyses of integrity risk. The VIS Working Group will consider sharing of dig verification data; advanced pipeline inspection technologies and exchanging inspection information; sharing in-line inspection data and protecting proprietary data; and barriers to sharing information. The meeting will be held in Arlington, Virginia, and will not be webcast. PHMSA reschedules meeting of the Gas Pipeline Advisory Committee. PHMSA has rescheduled the meeting of the Gas Pipeline Advisory Committee for January 11-12, 2017. The GPAC will discuss PHMSA’s proposed rule for onshore gas transmission and gathering pipelines, published April 8, 2016. The meeting previously was scheduled for December 7-8, 2016. PHMSA appoints new members to the Pipeline Advisory Committees. On December 6, PHMSA announced the appointments of several new members to its Gas and Liquid Pipeline Advisory Committees, which advise and provide peer review to PHMSA on proposed safety standards and risk assessments. The new appointees include individuals from state and federal government and members of the public. NTSB releases 2017-2018 Most Wanted List. On November 14, the National Transportation Safety Board (NTSB) released its Most Wanted List for 2017-2018, presenting the NTSB’s advocacy priorities. The NTSB does not identify pipeline safety, but initiatives such as reducing fatigue-related accidents and eliminating alcohol and drug impairment, are relevant to pipeline operators. DOT Office of Inspector General includes lack of criminal prosecution of pipeline safety violations on list of Top Management Challenges for 2017. On November 15, the DOT Office of Inspector General (OIG) released its report on the DOT’s top management challenges. Notably, the report observes that, despite numerous pipeline accidents related to violations of pipeline safety regulations, successful criminal prosecutions are rare. The report suggests that lowering the standard for establishing criminal liability under the Pipeline Safety Act from “knowing and willful” to “reckless” would increase the number of successful criminal prosecutions and deter future pipeline incidents. The report also finds that PHMSA lacks sufficient processes, oversight and project management to address in a timely fashion statutory mandates and recommendations from the NTSB, Government Accountability Office, and OIG. OIG notes that PHMSA has implemented organizational changes to address identified areas for improvement. NASFM updates its online Pipeline Emergency Response Training. The National Association of State Fire Marshals (NASFM) has updated its free online training portal for first responders. The program is based on the NASFM Pipeline Emergencies Program, offering three different levels of self-paced online courses to instruct first responders on how to respond to a pipeline emergency. On November 1, the Delaware Department of Natural Resources and Environmental Control issued a proposed regulation for aboveground storage tanks. The proposed changes would update definitions to clarify technical requirements and would clarify which version of industry-based standards published by the American Petroleum Institute and other trade associations are applicable to regulated aboveground storage tanks. The proposed changes also would add minimum distances for locating new aboveground storage tanks near private and public wells and address technical requirements associated with release reporting and corrective action needed when releases from aboveground storage tanks occur. On November 4, the Illinois Commerce Commission released proposed changes to its pipeline safety regulations to incorporate by reference the October 1, 2016 version of the Federal pipeline safety regulations and add the National Pipeline Mapping System reporting requirement in 49 C.F.R. § 191.29 to the Illinois code. In November, the Michigan 21st Century Infrastructure Commission released a final report assessing Michigan’s infrastructure. The report states that Michigan has approximately 6,700 miles of outdated, “at risk” natural gas pipeline infrastructure that needs to be replaced. Only 669 miles have been replaced since the Michigan Public Service Commission (MPSC) approved accelerated main replacement programs for utilities in 2011. The report recommends that the MSPC accelerate plans to replace at-risk distribution piping more quickly than the current 25 to 30 year window, and that replacements be coordinated with local investment in other infrastructure.